austindogandcat.com: Pet food recall includes brands sold locally: Innova, EVO, California Natural, Healthwise, etc. 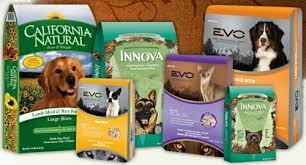 Pet food recall includes brands sold locally: Innova, EVO, California Natural, Healthwise, etc. We have some sad news to share. We are announcing today a voluntary recall of all Innova, California Natural, EVO, Healthwise, Mother Nature and Karma branded dry pet food and biscuit/bar/treat products with expiration dates prior to June 10, 2014. We made this decision in part due to a single positive Salmonella test by the FDA on product manufactured April 3. Normally, this would have resulted in retrieval of product manufactured over just a few days. However, we are taking the additional precautionary measure to recall all products in the marketplace. Our first priority is the wellbeing of the pets we serve. Our decision allows us to ensure that all products available in the marketplace were produced after June 10, the date when we implemented additional finished product testing procedures with the guidance of industry experts. Below this message you will find instructions on how to request a replacement voucher or refund. If you have any further questions, please contact us at http://www.naturapet.com/about/contact-us or (800) 224-6123. We are truly sorry. We know this news disappoints you; we are disappointed too. Natura will always focus on high-quality ingredients, product safety and innovation in pet nutrition. We remain committed to making products you can trust. Please use the guides below to locate the expiration date on your product. Download this form to request a replacement voucher or refund.